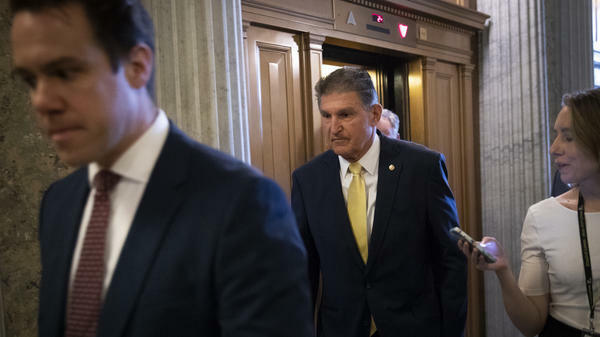 Sen. Joe Manchin, D-W.Va., walks to the Senate floor for a cloture vote on the nomination of Supreme Court Judge Brett Kavanaugh to the U.S. Supreme Court on Friday. 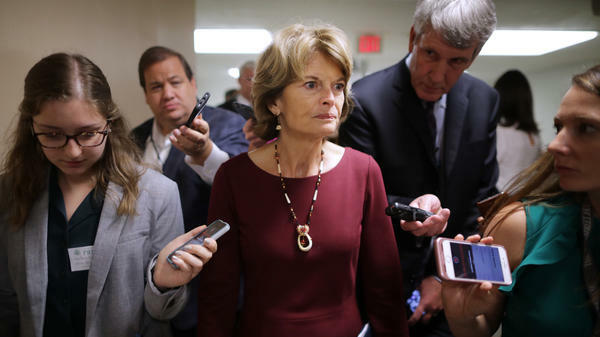 Sen. Lisa Murkowski, R-Alaska, talks with reporters Tuesday as she heads for the weekly Senate Republican policy luncheon at the U.S. Capitol. 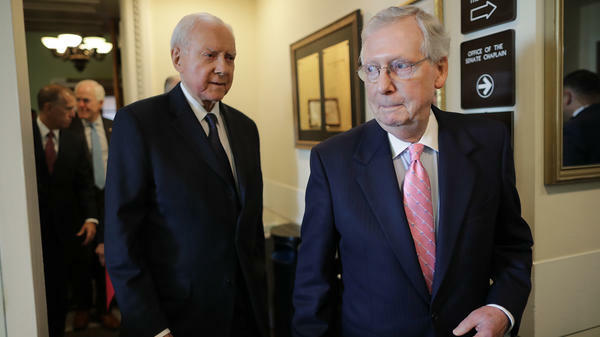 Senate Majority Leader Mitch McConnell, R-Ky., and Republican members of the Senate Judiciary Committee, including Sen. Orrin Hatch, R-Utah, arriving for a news conference on Thursday where they reiterated their plan to bring Kavanaugh's nomination to the Senate floor with a key procedural vote on Friday morning. Speaking to NPR after Collins and Manchin announced their support for Kavanaugh, a lawyer for Ford addressed whether the California professor feels she failed because confirmation is now a near certainty. "Dr. Ford's goal here was never to impact the process to derail a nomination," attorney Lisa Banks said on All Things Considered. "What she was trying to do was what she thought was the right thing to do as a citizen, which is to provide the information to the U.S. Senate so they could make the most informed decision possible. Her goal wasn't to derail this nomination, it was to inform the nomination and she's done that." 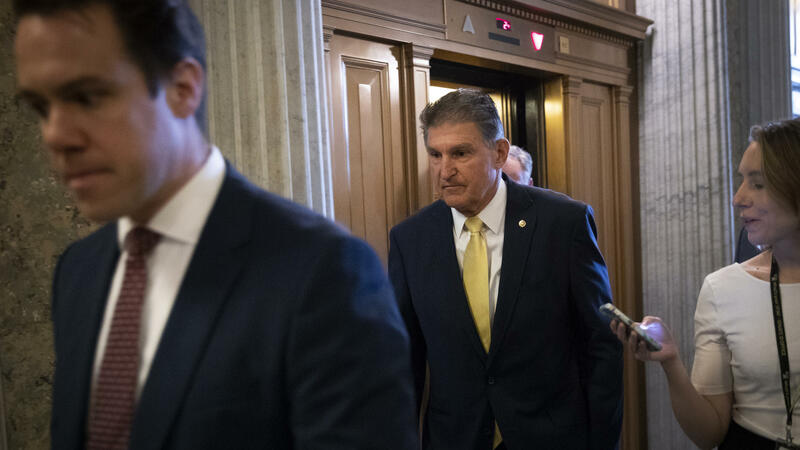 In a speech on the Senate floor Saturday night, hours after the support of Collins and Manchin made it clear Kavanaugh was all but certain to be confirmed, Murkowski announced she will oppose the nomination when it comes up for a final vote. But as a courtesy to another GOP senator whose daughter is getting married far from D.C. Saturday, Murkowski also said she will ask that she be recorded as "present" in Saturday's vote. The Alaska Republican noted that being recorded as "present" would not change the outcome. McConnell received the 51 votes needed to clear the procedural hurdle on Friday. Republicans have enough votes to ensure Kavanaugh's nomination in the vote expected Saturday, now that Collins and Manchin have announced their intention to support the judge. Sen. Jeff Flake, R-Ariz., is a reportedly a yes on the nomination, barring a major development. Similar concerns moved Sen. Heidi Heitkamp, D-N.D., to announce Thursday that she would oppose Kavanaugh. Heitkamp is one of the most vulnerable Democrats on the ballot in November and has seen her poll numbers slip in recent weeks. She is running for re-election in a state that Trump won in 2016 by more than 35 points.